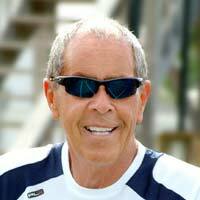 On Court Tennis Strategy Book From Capestany Tennis, Inc. 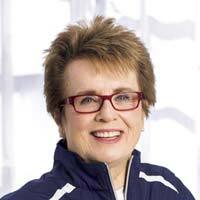 Finally, a book that gives proven tactics to use DURING a match without a coach, GUARANTEED! Buy Now For Only $14.95! Enter desired quantity below and click Add To Cart. 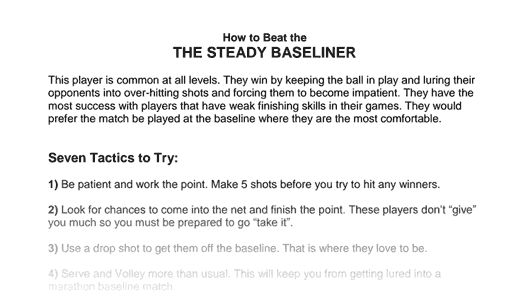 The Strategy Booklet is designed to be your on-court coach while you play a match. Learn how to beat EVERY style of player you will ever face. 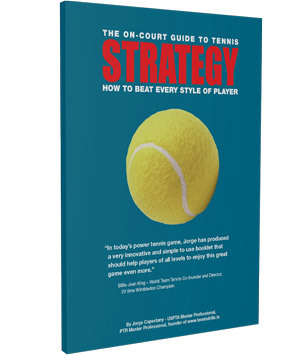 Small enough to keep in your tennis bag, the quick reference index allows you to look up which style of opponent you are playing and easily find 6 or more tactics that are PROVEN to work against that style of player. Play doubles? We got you covered, we gave an entire section on how to beat every type of doubles teams. In today’s power tennis game, Jorge has produced a very innovative and simple to use booklet that should help players of all levels to enjoy this great game even more. Jorge has produced a simple yet complete guide to tactical coaching and play. The burden of its successful application remains with the coach and/or player to install Jorge’s ideas in the heat of battle. Watch 2 Tactics from the Book on How to Beat the Mooonballer. Order Your Copy Of The Strategy Booklet Today!